The village lies in the most westerly valley of the Cotswolds on the edge of the escarpment overlooking Gloucester. It is surrounded by beech woods and has at it's heart a large area of common land. The woods and common are designated National Nature Reserves. 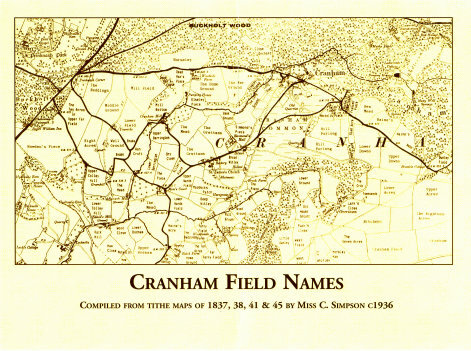 The name Cranham has been spelt in several ways since it was first recorded as Craneham in 1148. It has since been referred to as Cranaham, Cranum, Crannum, Croneham, Cronham and Crunham. The prefix could originate from the Old English 'croen' meaning rugged or 'krein' meaning crane or heron. This rural parish forms part of the Rapsgate Hundred and was believed to have been included as part of neighbouring Brimpsfield in the Domesday survey. The parish church is dedicated to St James the Great, the village has a primary school and 3 Inns within it's boundaries, it is also the HQ of Gloucestershire scouting. Today it is a vibrant community hosting over 25 groups,clubs and societies.